For effective protection of upper and lower teeth. 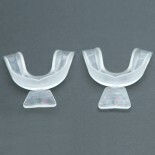 ..
For effective protection of upper and lower teeth. 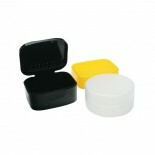 Set includes a mouth guard and case. 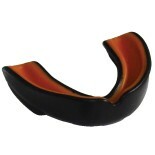 ..
A small but critical item for keeping your mouth guard clean and hygienic. .. Adult, Clear Lightweight, extra cushioned. Fits to your teeth in seconds. 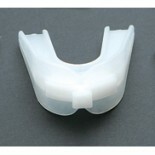 For effective protection of upper and lower teeth. 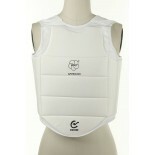 ..
Child Lightweight, extra cushioned. Fits to your teeth in seconds. For effective protection of upper and lower teeth. 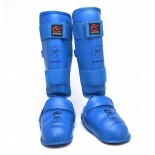 ..
For effective protection of upper and lower teeth. 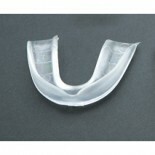 Gel liner material envelops the teeth and forms an exact impression, providing a tight and comfortable fit. Comes with case. 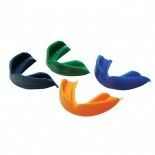 Color: Black/Orange or White/Blue ..
A small but critical item for keeping your mouth guard clean and hygienic. 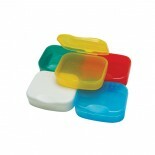 307HE (Economy): Clear Only, single or double ..
Includes 2 mouth guards (WITH CARRYING CASE). Semi-custom fit. 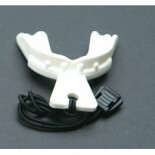 Option to cover both upper and lower teeth. Wash with warm water. .. Fits to your mouth in 20 seconds. 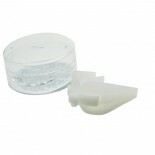 Power Air Channels for Extra Protection in front and between molars. Micro-Encapsulated air technology. One size fits all. ..